Today the Chief Constable Phil Gormley resigned. We don’t know whether it was to do with the publication of the Strategic Review of Undercover Policing in Scotland (read it here), or the catalogue of other complaints against him. Or if it was to do with the announcement that there won’t be a public inquiry into undercover policing in Scotland, in line with the investigation in England. 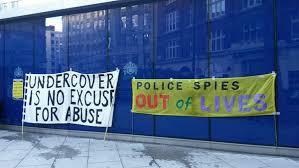 But we do know that spycops were active in Scotland and the Scottish police played no small part. We do know that the officer who oversaw the NPOIU from 2005 to 2007 was the Chief Constable of Scotland: Phil Gormley. 1. For the protests at the 2005 G8 summit at Gleneagles, Scottish police authorised deployment 12 officers from the main #spycops units (SDS & NPOIU) plus 6 of their own. 2. Mark Kennedy was deployed to Scotland on at least 17 occasions during his time as a #spycops officer 2004-2010, undertaking multiple activities each time. 3. The Met have reached settlements with 4 women who Kennedy had sexual relationships with in Scotland, a practice condemned by the Met as abuse of police power & a violation of the rights to a family life & freedom from torture or inhuman & degrading treatment. 5. “in the 7 year period 2003-2010 the NPOIU deployed nine undercover officers to Scotland. One of these officers is known to be Mark Kennedy… Most of his visits to Scotland were recorded as legend building & his activities included hill walking, cycling and mountain climbing”. 10. Much of the focus of this ‘Strategic Review’ seems to cover the period AFTER the units were shut down. Why would that be? As you say, there is a catalogue of complaints against him, and also against the entire structure of police oversight in Scotland. This isn’t a story about the British state abusing the people of Scotland. It is a story about the performance of the SG. Did the Cabinet Secretary for Justice, Michael Matheson, make an unlawful interference in an independent decision of the SPA, behind closed doors? We don’t know, because as is so often the case for tricky meetings involving members of the Cabinet, no minutes were taken. We are told that the benefits of independence will outweigh the costs, because we’ll be better governed when we can “peeble them wi’ stanes”. However, the same people who tell us this are happy to have a SG that is as secretive as its chooses to be with no regard for the ministerial code. Well it’s certainly the state abusing peaceful protestors and it’s primarily the British State. Whether it’s also to do with Scottish Govt or Scottish Police collusion or incompetence it’s not clear yet. This unified police force was always a terrible idea implemented in betrayal of the concept of local government. But, we were told, it would turn out well be there were layers of independent oversight. Now we know beyond a shadow of a doubt that they are meaningless. The Cabinet Secretary for Justice is free to intervene as and when he chooses, with no regard for how the system is supposed to operate, and free to cut Parliament out of the process entirely, so long as nobody leaks notice of his interference. But instead of this ongoing outrage, created and perpetuated by the SNP, you want to pull the focus away from today’s news to the 2005 G8 summit, so you can moan about “the British State” while having to think about what the Scottish Government is doing at this very moment. Er, it wasn’t me who published a report on police surveillance today John, sorry not guilty. The issue is a UK-wide problem of human rights. Not sure what bit of this you are finding confusing? I think you know full well that the Justice Minister was ‘damned if he did & damned if he didn’t’ and I bet you would have been one of the first to complain if he had been allowed to return to work while the ‘Complaints’ remained unresolved. What Scotland needs now is a Home Bred no nonsense Copper not some import from the Met or some other English force with no real idea of Scottish Law or Policing. There we have it… let’s have a “home bred” policeman, not a nasty Englishman, who as we know will have a hidden agenda. Let me point out to you that the words ‘nasty Englishman’ are your words not mine. I can’t accept that within our own force there are no capable young officers fit to be promoted to Chief Constable, policing in Scotland is very different, just ask any junior officer who has transferred to a Scottish force. Once upon a time we used to have a more consensual type of policing from England. We actually know quite a lot about the Gormley case and the absurd decision by the SPA to bring him back to work. Perhaps you will do what the opposition leaders so far have not. Will you state whether you believe Gormley should have gone back while FIVE complaints, some alleging gross misconduct, were under investigation with the Pirc? For by attacking what Matheson did, they appear to be saying exactly that. Also, on the issue of independence of the SPA, it is not the case that it can do absolutely anything it likes. If you check out the way it works the Scottish Government has “parent organisation” status over the SPA. I believe Matheson was right to check whether the SPA had consulted with Police Scotland and the Pirc about this matter. It was essential to establish if due process had been followed. It had not! Matheson was therefore correct to point that out. I do not understand why opposition leaders don’t get that. But of course, their focus was to play party politics over a decision by the SPA which should have concerned them all. When the most senior figure in any organisation is under formal investigation you do NOT send him back to work ahead of that investigation into serious complaints being concluded. This report is a whitewash and could have been written by Mathieson himself!! Police Scotland – good, previous police forces and dare I say it those polis from Ingerland bad, bad, bad. The questions raised like if Police Scotland is doing so well why is the perception of the force as being in chaos with ministers interfering and failing to maintain records of meetings. How much of the draft report was changed by interference of Mathieson and his team? If this is the standard of scrutiny we can expect then I would suggest public money should not be wasted. of course Big Bro is watching…it has always been thus, irrespective of what govt is in power at WM or more recently at Holyrood…I can produce proof but it would create no surprise! The real issue in society is who guards the guards? Thanks for this BC. Had this way-Southern softie not been on your mailing list I feel sure the usual bland offerings from the BBC would have had to suffice. Down here the Chief Con has been portrayed as a very naughty boy. Some opinion holds that peaceful protest is ineffective against the state. However much people have suffered from the violations of undercover policing, at least they can see how seriously the state takes them. Perhaps this will only strengthen the rationale for protest. Those victims who have waived anonymity become in some sense martyrs, their lives hollowed out by agents employed to corrupt democracy. If it turns out that only (or predominantly) women have been targeted by these secret police methods (3), I suppose there will be clear grounds for a sexual discrimination case. It’s interesting how human rights might be used to force more information into the public domain (for the purposes of, say, proving non-discriminatory practice). This is presumably another reason why said rights are anathema to the secret police state. This led to the establishment of a UK inquiry to explore undercover policing and its tactics – although it does not cover actions that took place in Scotland nor the role of Scottish Police. The Scottish government has refused to hold a separate Scottish inquiry – a decision confimed by Michael Matheson after his statement on Gormley’s resignation. But as an alternative, Her Majesty’s Inspectorate for the Constabulary in Scotland (HMICS) was commissioned to carry out an internal investigation into Scottish undercover policing. On February 7 it concluded unequivocally that there was “no evidence” that Police Scotland had “infiltrated social justice campaigns”. The report focuses on the use of Scottish undercover policing in tackling serious crimes. A total of 423 undercover operations of this nature have been undertaken since 2000 in Scotland. 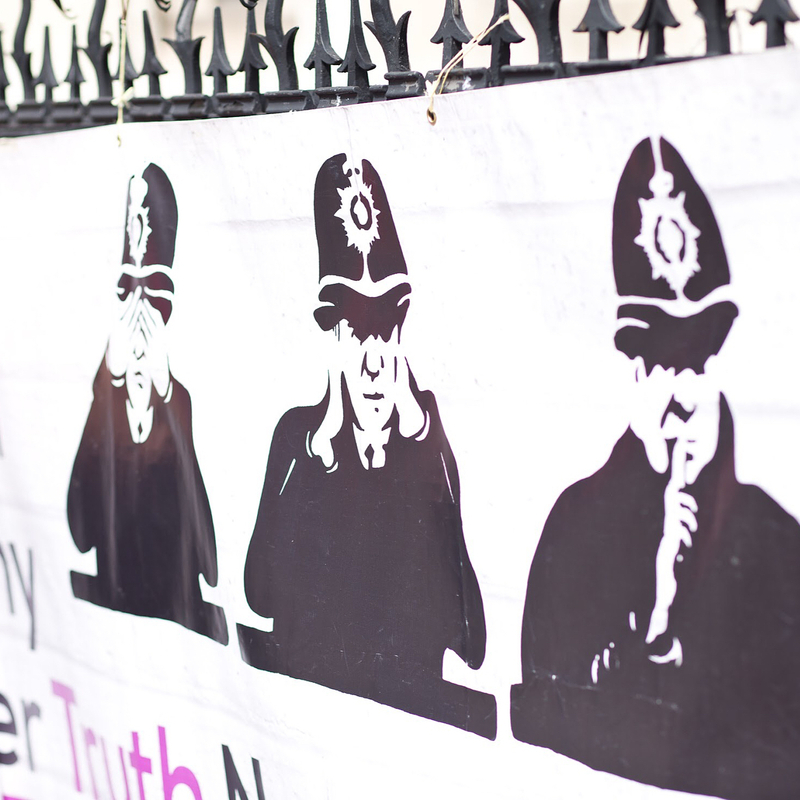 As an examination of the policing of serious criminal behaviour, the report is certainly interesting, but it fails to deal with the central issue that it was set up to investigate: the widespread use of undercover policing in political campaigns. Although the report is adamant no Scottish police officers engaged in any kind of infiltration activity, it concedes that undercover English officers spent periods of time north of the border. Indeed, the SDS deployed 11 officers over a decade in Scotland – mainly around the G8 summit in 2005 when world leaders including George W Bush and Tony Blair gathered at Gleneagles.